With the release of ‘Django’ and now ‘Twelve Years a Slave’ we can see a revival of the subject of slavery in the art industry. This seems to be a good time to remind ourselves about the play that one of our students wrote and that was performed in and outside Marjon. ‘Albert and Equiano’ is a story of a disgruntled museum employee that comes across an unusual portrait. Through the portrait of Olaudah Equiano, Albert he learns the true story of this man. Equiano’s life story of hardships and indignities played an important role in abolishing the slavery in the UK. He gained his own freedom, but never stopped to work for the freedom of others. This play was written by one of our students, Jayne Newton Chance and then turned and staged as a participatory drama by David Oddie, who was then a lecturer and is the founder of the Plymouth Barbican Theatre company. Pictures from the original staging of ‘Albert and Equiano’ 1987. ‘Albert and Equiano’ was adapted and staged many times. Most recently as 2007 and for the first time in 1987. It was then a part of the Indra Congress that is an organization concerned with the transformation of the conflicts through art. They created workshops tied to the plat. They concerned the issues such as anti-racism, diversity, equal opportunities awareness. We can never forget about the problem of slavery and we can’t stop talking about it until slavery is eradicated from the face of the world. In Marjon we talk about it in classes, but we also spoke out to the wide world about it, thanks to the work of our students and teachers. 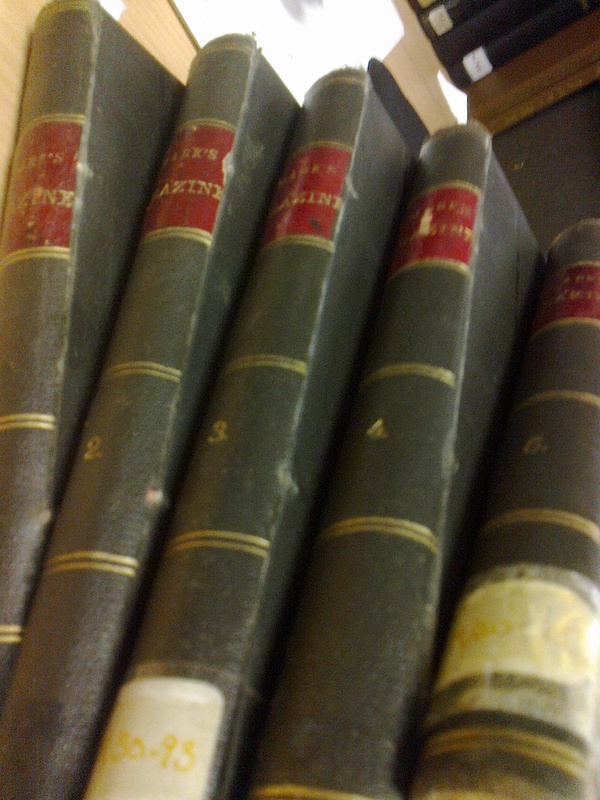 bound them in hard covers and that’s why we have beautiful, book-like collection of those old publications. The first thing one might notice after passing the front cover is that there is no illustrations, none at all. I can imagine no photographs, as the photojournalism was still in its infancy, but there isn’t any illustration even. I think it speaks a lot of the transition of the society from one focused mainly on the written word to one that is multi-media oriented. The text itself is thick and hard to read for our eyes, used to fast-reading techniques. The magazine contains many different things: College news, update on people, sports news, various articles and stories. It was also meant for student authors to have a place where they could publish their work, that’s why there are poems, fiction, biographical stories, journals of travels and other articles. There are also so called ‘varia’, which are little thoughts or fact or just titbits of college life. Some of them funny, some thoughtful or curious. Those are the bits that didn’t make it into full articles. Those are a fascinating lecture, especially when you can see how they hanged over the years; not only in form, but in content and attitudes. I wish we still had one. In our days of the decline of the printed word, we could at least have it in an electronic form. Hello to you all in this new year of 2014. It is time to once again dip my fingers into the mysterious waters of the archival fathoms and bring you yet another specimen. Today it’s the teachers’ reports. ‘Teachers’ reports’ sounds boring, but they look fantastical! 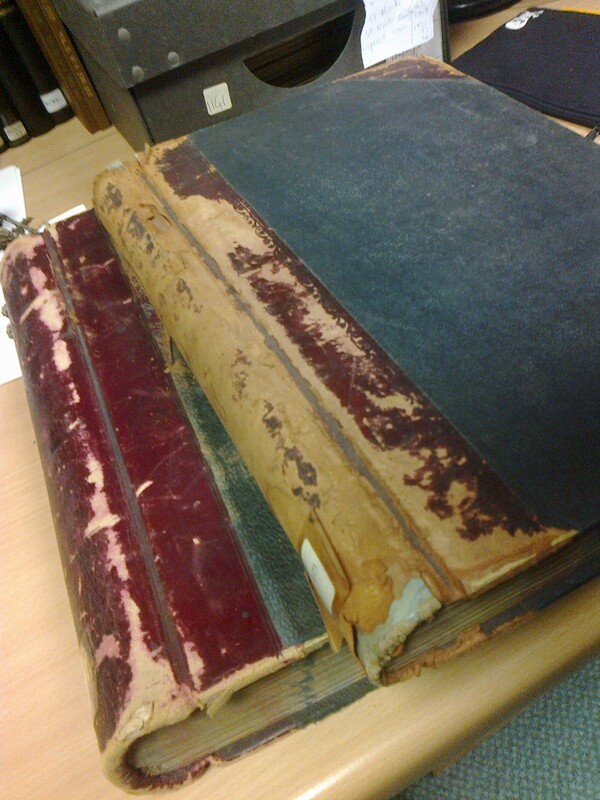 Imagine fat, heavy books in stiff bindings; more like wizard’s spell books rather than official documents. Much like wizard’s books, they contain mysteries and secrets, ready for the plucking by those who have patience to read them. 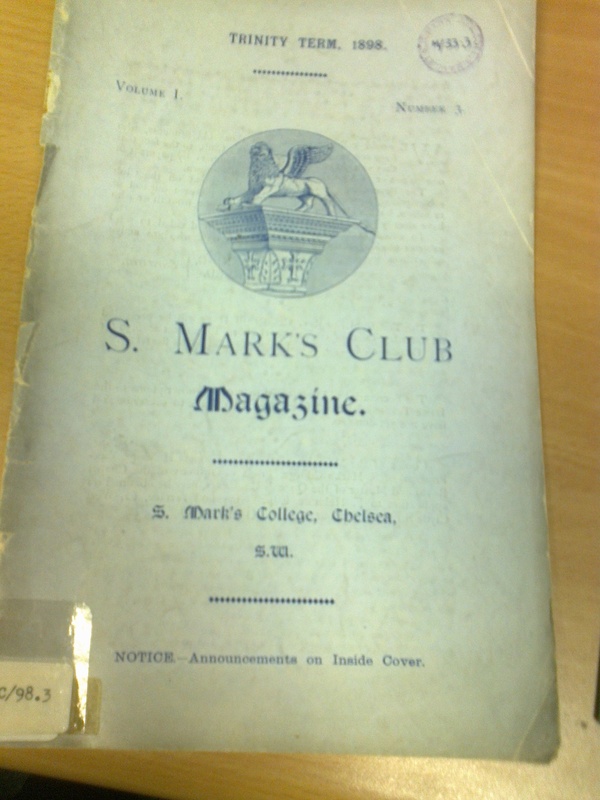 Those I’ve read were from the Battersea Training School 1884-1893, before it became St. Mark’s College. I have to say, it is not easy. The person who wrote in them must have skipped the calligraphy classes, because the scribbles are almost illegible. :-) But if you get used to them you can read straight into the past. How much one can fit in A3 page? How about somebody’s learning outcomes for two years. In small boxes the teachers put comments on the skills that the students were supposed to obtain. Those were among others: Punctuality, diligence, kindness and sympathy with the boys. If you’re one of the people who are tracing your ancestry, you could see if Great-great-great-gramps was always such a brilliant and talented teacher or was he put down as ‘capricious’ and his punctuality was sadly lacking. :-) Some of the comments can seem oddly personal. Even then, people were not free from personal bias, no matter how professional they tried to look. And now, after nearly 200 years one can only guess if ‘questionable character’ meant that somebody was dishonest or that the teacher and the student just didn’t see eye to eye. It’s through the teacher’s reports I’ve met an infamous person, whose sad story now can be told with all the compassion and understanding it deserves. But that story is for another post.